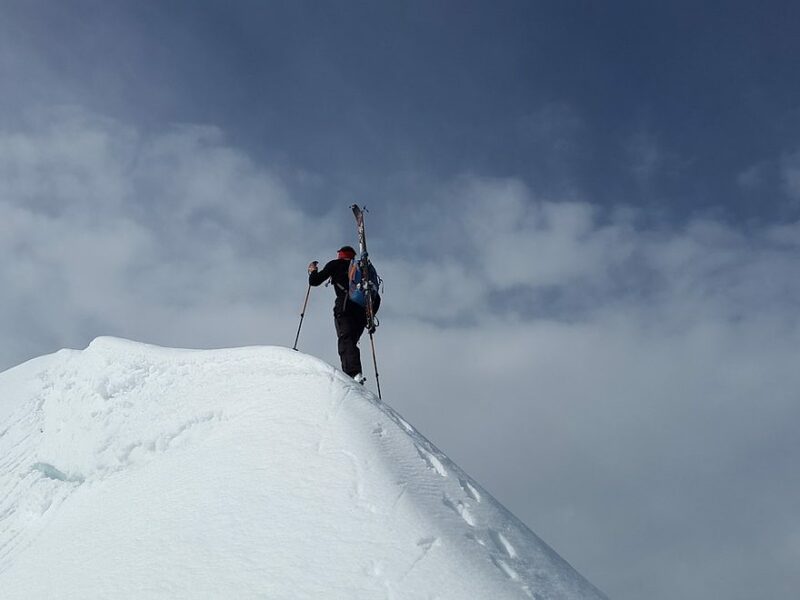 What has remote working to do with ski touring? I’ll tell you the answer later in this post. Let me ask you a different question first: Does your company implement or extend their remote work policy? Mine does and in the last weeks I got to know many others who do the same. Do you work in teams dispersed across the globe? I am part of a growing number of remote teams and globally dispersed networks. Also looking at the rise of digital collaboration solutions like Microsoft Teams there’s a clear trend for remote team work and increased flexibility in work – working anytime, anywhere. I don’t want to hide that there’s also a counter-movement. Yahoo published a No-Work-From-Home Memo in 2013. IBM told their remote employees just recently (May ’17) to come back to the office. At least for Yahoo I don’t see that this move improved their results. My passion for remote working started four years ago, when I attended a seminar from Line Jehle. Many of the experiences I write about have been inspired by her. Since then I witnessed some of the benefits, but also challenges. These challenges are the reason why Yahoo and IBM are killing remote work and why companies struggle with their own offers. BUT: Killing remote work means also killing the benefits! So what are benefits of remote working? I would like to show you three categories of benefits with 1-2 examples. Don’t view this as exhaustive list of benefits, but as an inspiration to think about the benefits of remote working in your context. There are more categories and thousands of examples. Diversity is a benefit I witnessed several times. Germans tend to be perfectionist. This is not always a competitive advantage. Adding some more pragmatic cultures like Americans to a team can balance this. Relocating somebody from America might be quite costly and slow, so remote teams are the answer. Another example is my coaching circle. It is a very diverse group of people from all over Germany. Only by doing it remotely we can meet every week. Finally you get the answer to the title of this post in form of a little story. It is a story about Franz. Franz loves to do ski tours in the alps, because this clears his mind and is healthy. Unfortunately ski touring became very popular and the routes are very crowded on weekends, so Franz started to go less frequently. The solution is remote working. He works in a global project with team members in San Francisco and Munich. So he decides to work from his apartment in the mountains twice a week and do a tour in the morning. This is a win-win situation for him and his company. With a clear mind he’s more innovative and productive. For his company this translates into higher performance and a healthier employee. Bavaria has areas that are “dying” and areas that show explosive growth (e.g. Munich). In the “dying” regions population is shrinking and the average age of population goes up. For the remaining citizens quality of life decreases – shops are closing, medical care is getting centralized, value of real estate decreases. Growth areas suffer from traffic and the respective pollution as well as challenges to offer affordable living space. All are challenges that remote working can fix! You are reading post #1, which highlights benefits of remote working. “Purple space” – a virtual space for remote teams. It is the frame in which remote work happens. “Heartbeat” – How to get your remote team alive and into a regular rhythm. “Digital communication” is all about communication tools. What are the tools and when to use them. “Secret rules” is about cultural awareness and the secret rules below the tip of the iceberg. “Feedback” talks about the importance to give feedback in remote teams and how to do it. Post #7 will summarize, get you into action and provide further resources. Do you work in remote teams? What is your context for working remotely? If you work remotely already, what is your biggest challenge? If you don’t work remotely, what is the biggest benefit you see or the problem you are trying solve? What are benefits of working remotely that you would add? Looking forward to your feedback and stay tuned for post #2 next week! Great post. I will love to follow your blog!